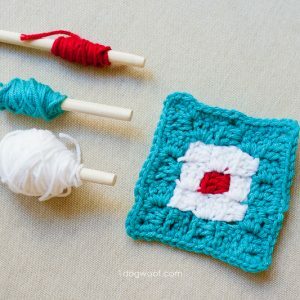 I’m starting with tutorials for the basic stitches for those who are unfamiliar with crochet. This means we won’t be reading the cowl pattern and starting working the pattern itself until next week. 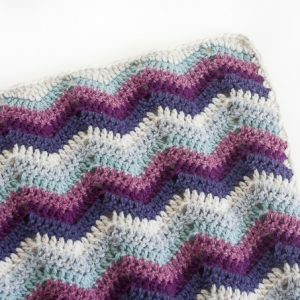 If you don’t need the tutorials, feel free to work on the cowl at your own pace – this is all just for fun! Just a note here. These posts are going to be VERY picture heavy, so not as much word heavy, otherwise, it’ll be more like an encyclopedia. So, if you have questions, ask in the comments! I’ll try to answer some, and I’ll have our wonderful guest posters take a crack at them each Friday. And these are instructions for right handed crocheters, in American crocheting terms. 1. 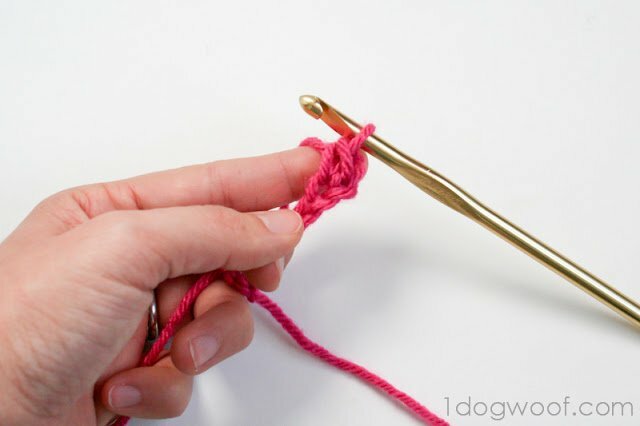 Hold the yarn in your left hand, with the end of the yarn at the bottom. 2. 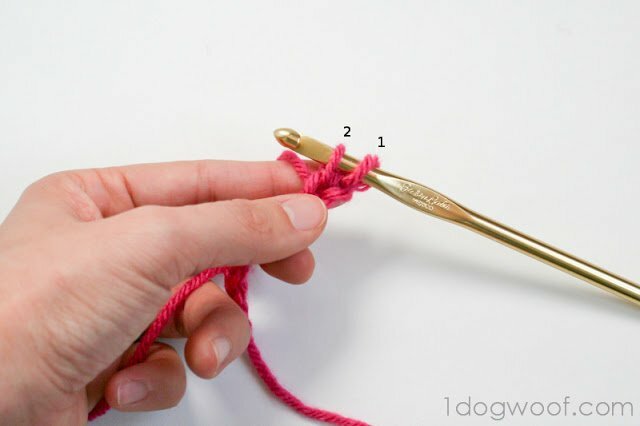 Wrap the yarn around your first two fingers to create a loose loop. 3. Insert the hook as shown. It’s a bit of an under and over. 4. See where the hook almost catches the yarn in pic #3? Bring that bit through the loop, and now you’ve got a loop on your hook. This is the same as picture 4 above, but without my hand. 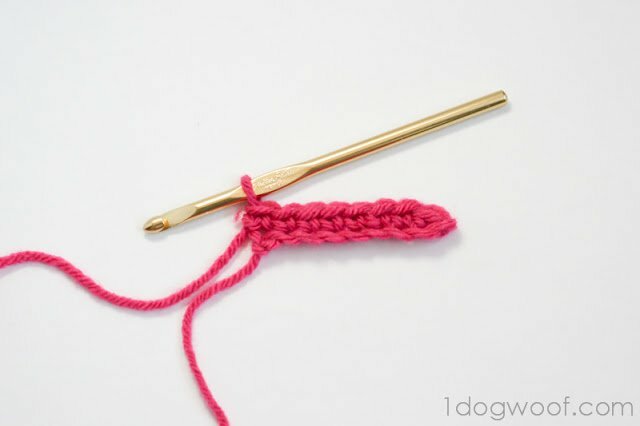 Pull on both ends of the yarn. The loop on the hook will tighten. As you play around, you’ll see that you can adjust the tail (left over yarn) length depending on which end you pull on more. Side note: How to hold the yarn. This is rather optional until you’re more comfortable, and it’s how I do it, and I know lots of people do it differently. 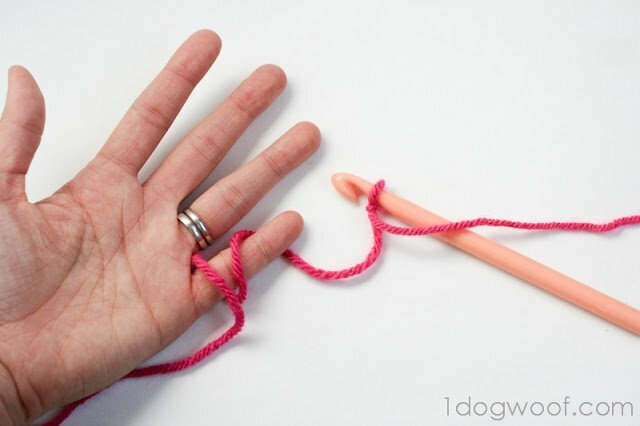 I loop the yarn from the ball end around my pinky finger to establish a consistent tension. 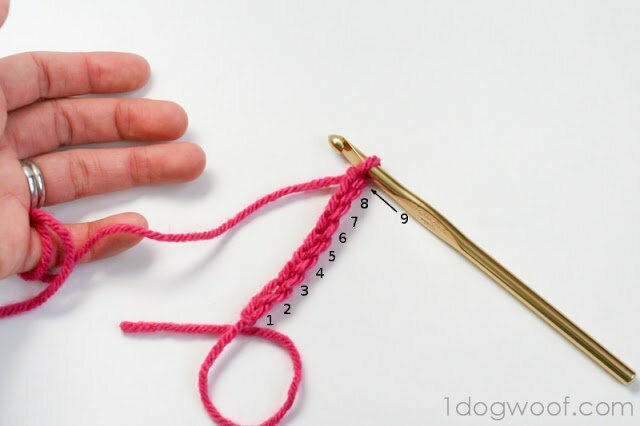 Then, either 1) hold the work with your middle finger + thumb, and create yarn overs (loops) with your pointer finger, or 2) hold the work with your pointer finger + thumb, and create yarn overs with your middle finger. I switch it up depending on if I’m cramping (since I don’t have Mr. Darcy massaging my hands). So, back to the chain. You’ve tightened the original loop. 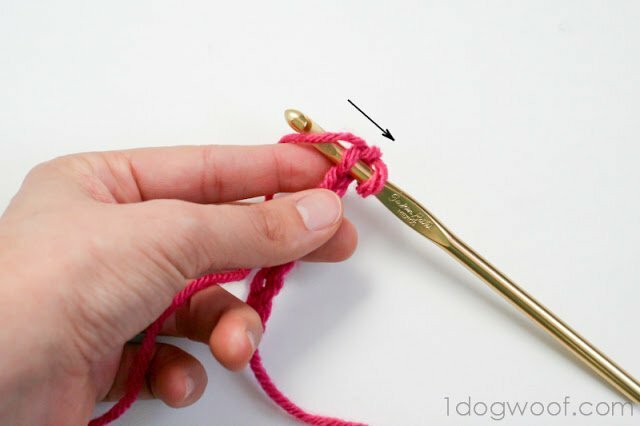 Now, the working end of the yarn should be behind your hook. 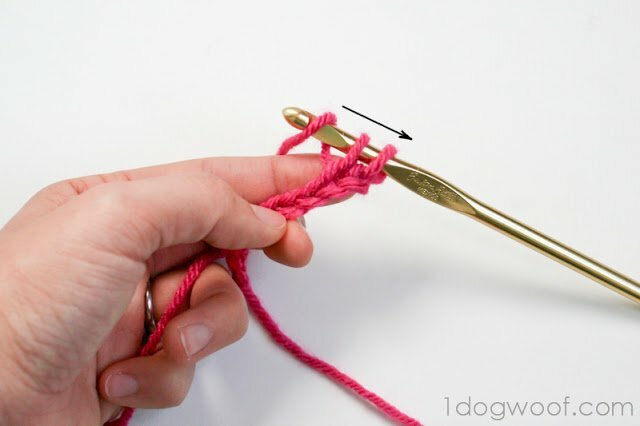 Bring that yarn over the hook (yarn over or YO), and using the hook end, pull that yarn through the loop that’s already on the hook. There’s a rather unimpressive arrow showing that movement. Here’s another view of it. 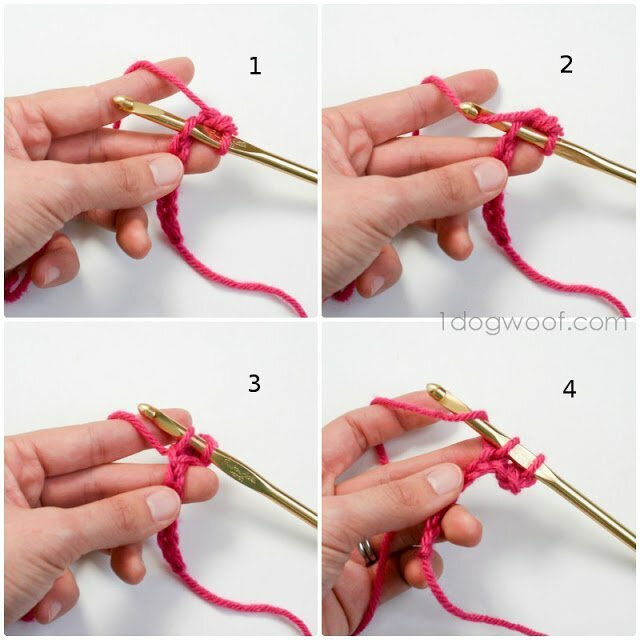 Bring the yarn over the hook and pull that bit through the existing loop. 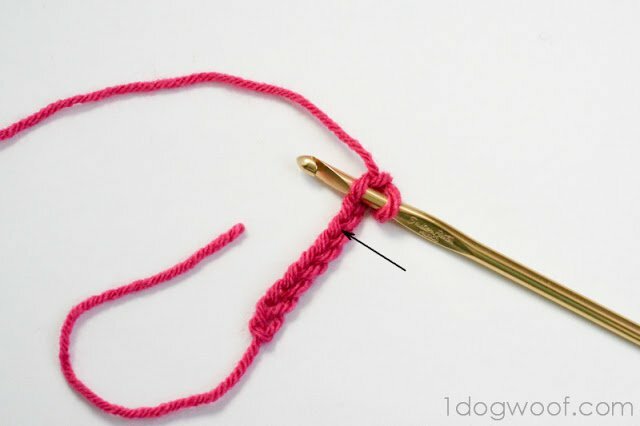 That creates a chain stitch. If you’ve gotten this far, you’ve created 2 chain stitches! Keep going, and you’ll see a string of chain stitches. For these pictures, I’ve used a larger hook than necessary for this yarn weight, so the chains are loosey goosey and a bit uneven. Here’s a picture of chain stitches using a smaller hook. Notice the stitches are tighter and more uniform. Neither is right or wrong – it depends on the look and the gauge you want. Can you count the chain stitches? Now we’re going to add a row of single crochet stitches to this chain. 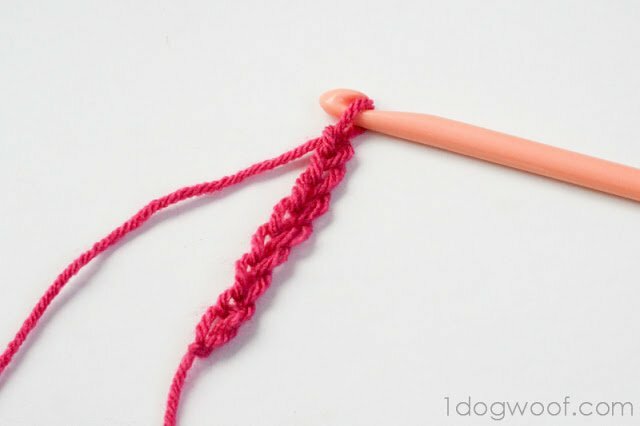 A single crochet is the height of a chain stitch, so we will be starting the single crochet in chain number 8, skipping the last chain, or in pattern-speak, “single crochet in 2nd chain from hook”. Chain #9 is the first chain from the hook. Insert your hook on the back (or left) part of the “V”, as shown by the arrow in the pic below. 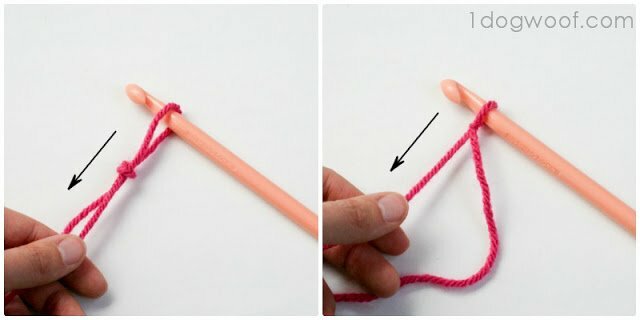 Bring your yarn over the crochet hook, and then using the hook, pull that yarn through the first loop. 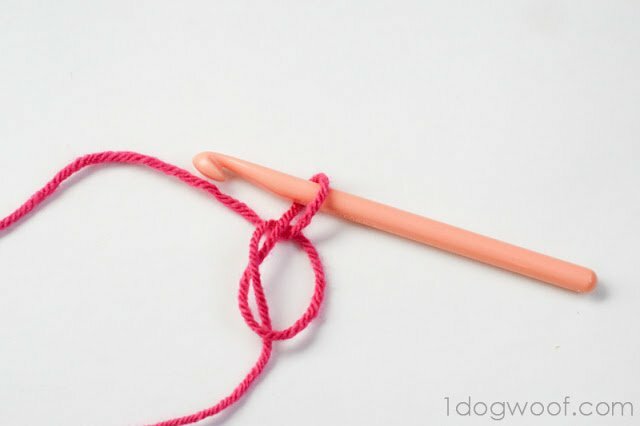 Bring the yarn over the hook one more time, and this time, draw the yarn through both loops. That completes a single crochet! 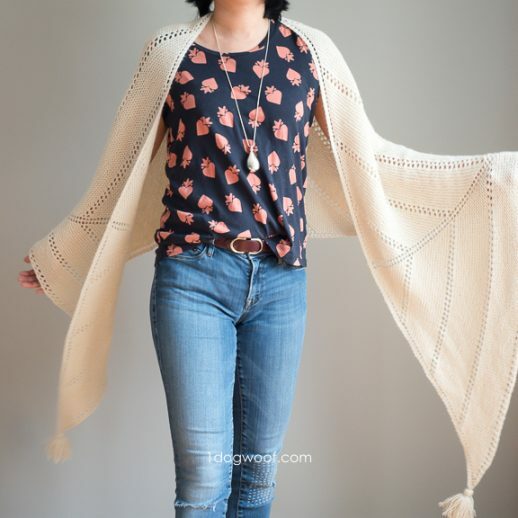 Here’s a review, using the 2nd stitch. 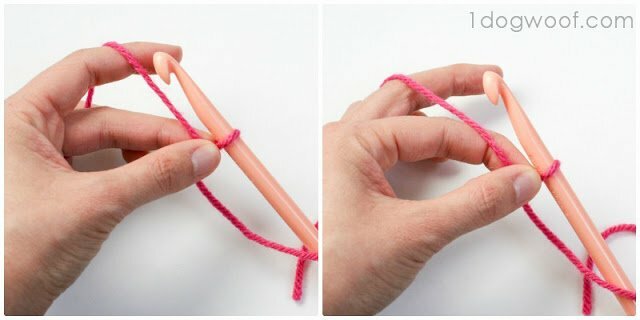 1) Insert the hook in the back side of the V. 2) Bring yarn over the hook. 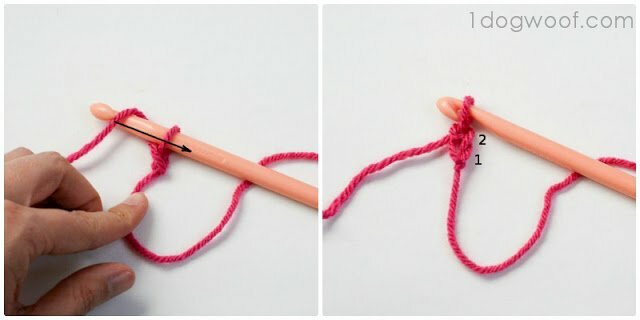 3) Draw yarn through 1st loop to leave 2 loops on hook. 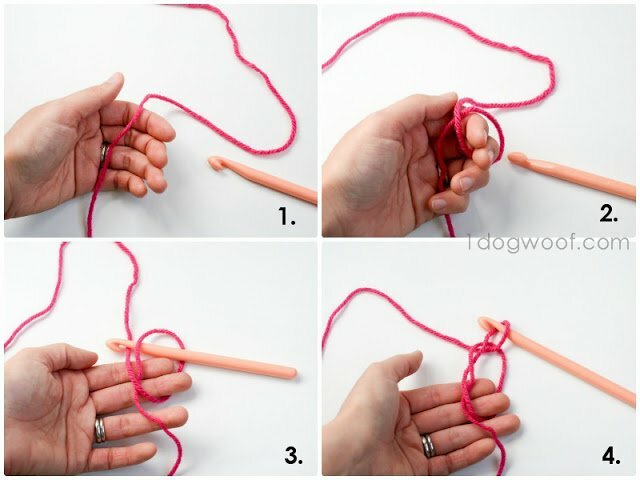 4) Bring yarn over hook and draw yarn through the last 2 loops. This shows the 2nd SC complete. 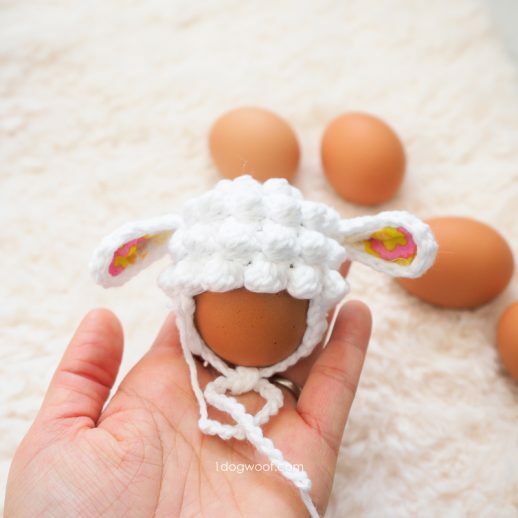 Continue single crochets across. 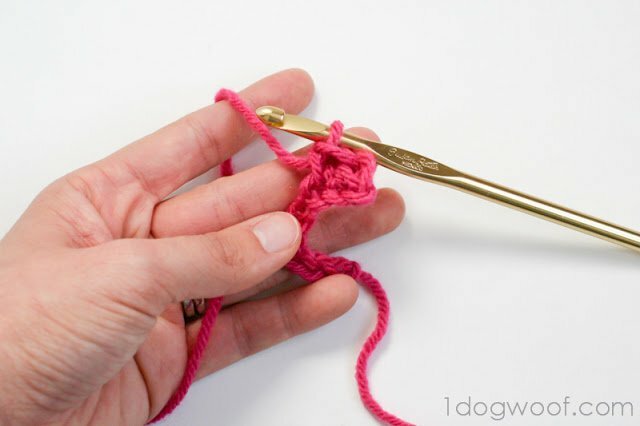 You should have 8 single crochets. Well, this post was certainly long enough. 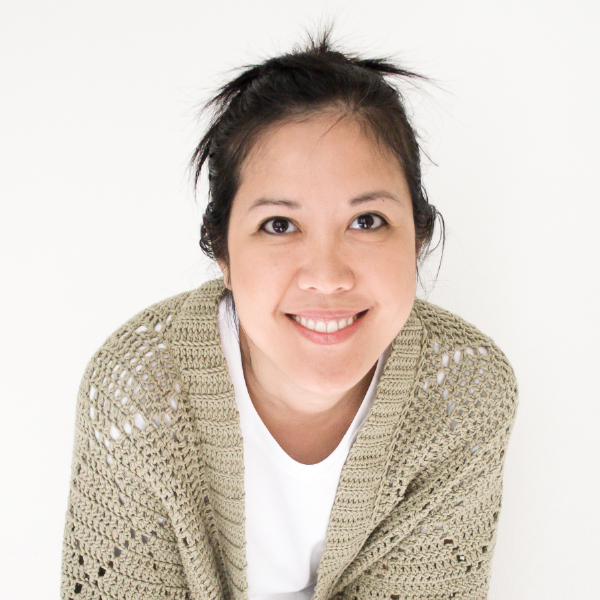 We’ll review the SC again in the next post and then move on to the half double and double crochet stitch. « CAL: Let’s Go Shopping! Thanks for doing this CAL. I learned to crochet in high school and haven’t done it since! I’m crossing my fingers I can keep up! 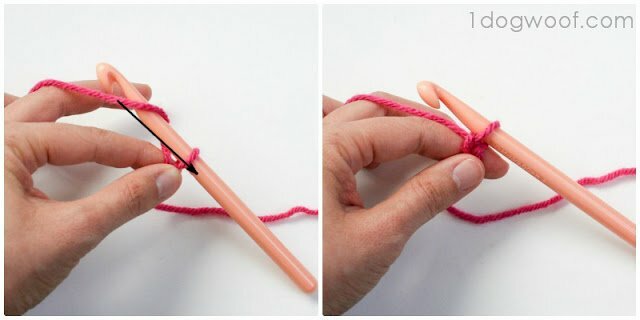 I can’t find a size M crochet hook. Is there another size I could substitute? 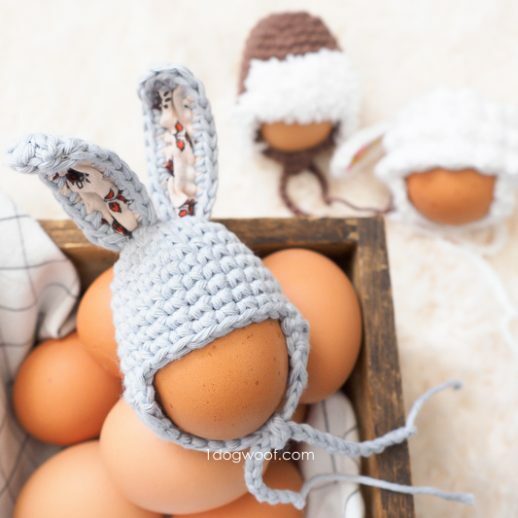 You are doing a really wonderful job with these photo tutorials! Crochet Christmas gifts are the best! 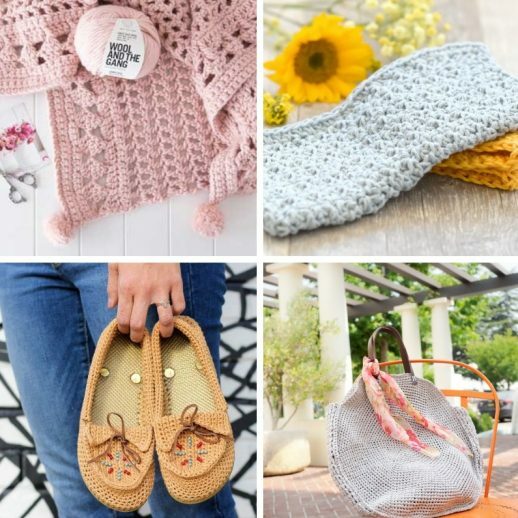 I also took some time off after I learned crochet the first time, but it’s like riding a bike – you just need a refresher and you’re right back on track! Good luck! Thanks, crocheting is about all I can do. Wonderful idea. Will have to try.